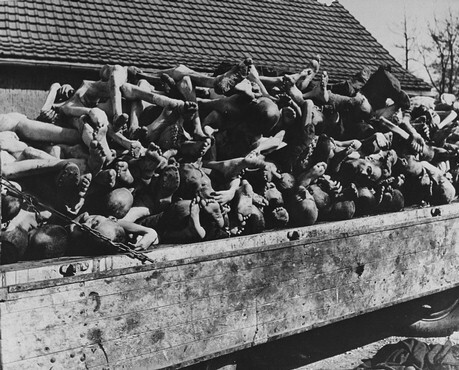 A wagon is piled with the bodies of victims of the Buchenwald concentration camp. Photograph taken following the liberation of the camp. The 6th Armored Division overran the camp on April 11, 1945. Buchenwald, Germany, April 11–May 1945.